Stars: Rose Byrne (AUS), Ethan Hawke (US) and Chris O’Dowd (UK Comedian). Annie (Byrne) is stuck in a long-term relationship with Duncan (O’Dowd) an obsessive fan of obscure rocker Tucker Crowe (Hawke). When the acoustic demo of Tucker’s hit record from 25 years ago surfaces, its release leads to a life-changing encounter with the elusive rocker himself. 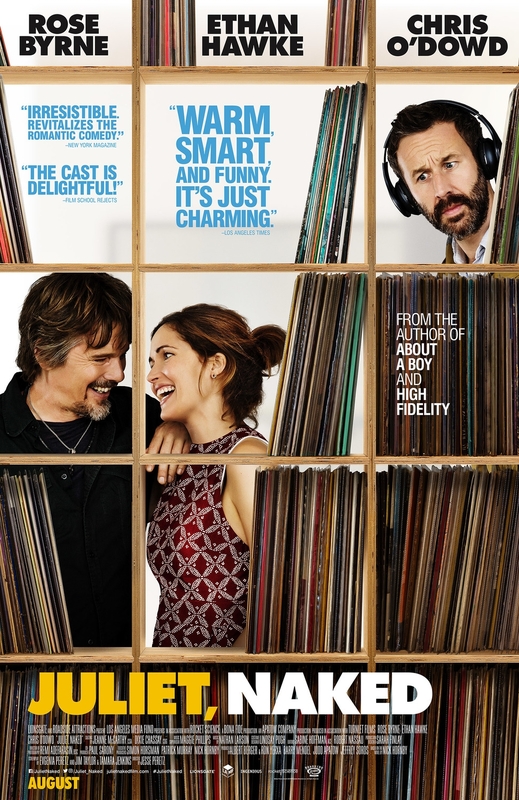 A sharp-witted, amusing romantic comedy with an indie-rock heart. Rated M.
Enjoy the meal & movie ($25) 6pm or movie only ($10) at 7.15pm. Bookings are advised: 6629 1131, email or book online. Funds raised will be used to secure the Eltham Railway Cottage. ECF is a community organisation based in the northern NSW village of Eltham. Presently, our most immediate task is to save our Railway Cottage from demolition and to help fund this work we run Eltham Film Nights. Our ultimate goal is to use the Cottage as a district museum-archive. For more general info on Eltham facilities & things to-do please tap here.